Minnesota Ipe Deck: Penofin Marine? It’s Eric up in Minnesota. You helped answer a lot of questions for me when I was building my IPE deck a couple years back. Well, it turned out great and thanks again for all your advice! I’ve been applying the Penofin Marine annually and it looks great but after the snow melts, the decks in need of some washing and fresh oil. Are you still recommending the Penofin Marine or have you found greater success with another product? Thanks for your help! Hope you are having a good winter out there. 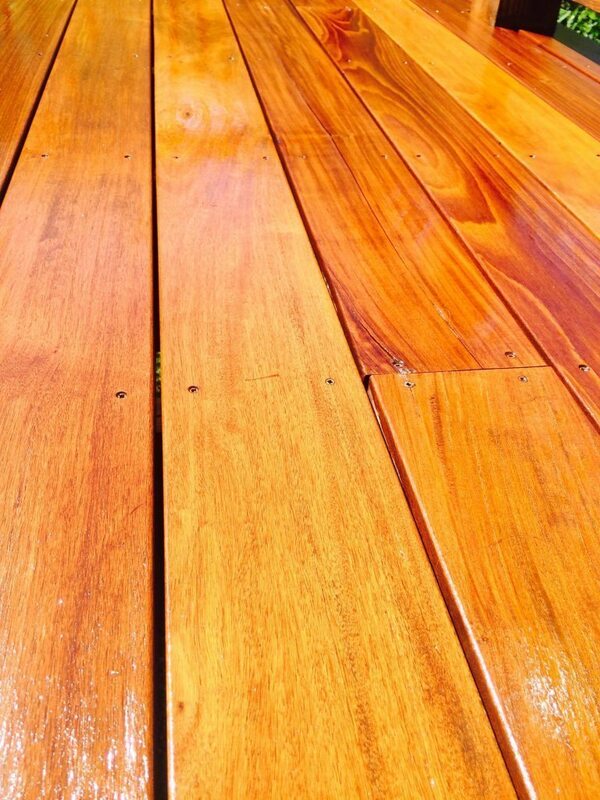 Glad to hear that the deck came out great and that you are staying on the maintenance – that is key. To your question, we have moved away from Penofin Marine (and all their formulations) as a deck product, mostly for the reasons you outlined. The decks would look great the season that we applied Penofin Marine, but after one winter or rainy season, they would discolor and often turn black. This made the maintenance impractical, so we began testing other options. We have been seeing much better results from a couple of products: Ready Seal and Super Deck Transparent from Sherwin Williams. These products also do not require the wiping that Penofin Marine does, which is a huge plus. Our ipe content has grown to where we launched a site dedicated specifically to the topic. Feel free to visit ipehelp.com to learn more about our more recent findings. You can register for free to access a lot of the articles. There are also paid membership options for ipe owners who need more in depth assistance with ipe projects. Hope this helps, please post up some pictures as you make the product switch and continue to maintain. They get better with age! Would you recommend Ready Seal on a newly stripped pine log home? or would Armstrong Clark or Super deck be a better alternative? Hey Nathan, all 3 products are good. Perhaps try a sample of a couple of them and make your choice.